The performance of the song is the second piece of a two part mini-documentary, directed by the Foo Fighters frontman, that celebrates the rewards and challenges of dedicating one’s life to playing music. 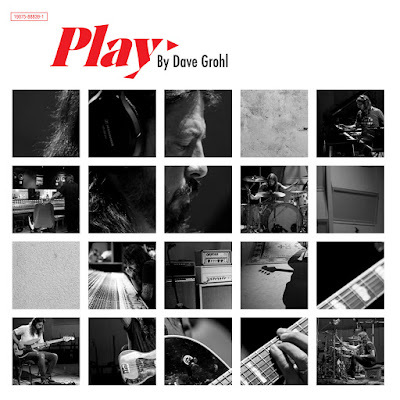 Part one opens with narrated behind the scenes discussion of the love of playing music and the lifelong relationship with an instrument – as well as the process and challenges of recording and filming this unique performance that sees Grohl play all seven instruments on the track, all live. The entire song was played by Grohl, each time on a different instrument, live all the way through for 23 minutes. The "Play" online interactive experience offers viewer/listener/participants the options of taking in the mini-doc and Grohl performance as is, focusing on one instrument, and/or downloading "Play" sheet music. The online version of "Play" also includes a list of organizations where time, money and instruments can be donated to the cause — and places where musicians young and old alike can have the opportunity to play live music. “Play” will be released to streaming services on August 10, with a limited edition vinyl to follow on September 28.